So you've decided to apply to the Martin School! We look forward to your application. In short, you will need to have taken the GRE/GMAT, letters of recommendation, your resume, a biographical sketch, and your transcript to apply for our programs (except the Graduate Certificate in Public Financial Management-- read more about this new program here). Below is a guide to get you started with the process. January 15: Deadline to apply for Ph.D. students to be considered for funding. February 15: Deadline to apply for masters students to be considered for funding. March 15: Notification letters concerning fellowships, assistantships, and scholarships sent out for the fall. July 15: Deadline to apply to the Graduate School for the fall semester (for degree-seeking programs). July 24: Deadline to apply for the Graduate Certificate in Public Financial Management program. December 15: Deadline to apply to the Graduate School for the spring semester. Take the GRE or GMAT. We require MPA, MPP, MPFM, and Ph.D students to take the GRE or GMAT. This may be waived for those pursuing the JD/MPA or PharmD/MPA degrees and have been accepted into the additional respective programs with LSAT or PCAT scores. While you will self-report your scores in your online application, the University of Kentucky will also need an official score report sent from the test administrator. You do not need to take the GRE to apply for the Graduate Certificate in Public Financial Management. The Martin School requires two letters of recommendation; these can be from a combination of professors and supervisors. Identify and obtain contact information for these folks, as the application system will contact them directly for their recommendation once you submit your application (see below). You do not need letters of recommendation for the Graduate Certificate in Public Financial Management. Why are you pursuing your graduate degree? Why the Martin School? Write a 1-3 page sketch introducing yourself and your reasons for wanting to attend. This is required for the MPA, MPP, Ph.D., and Graduate Certificate programs. Create an account with the Graduate School and complete online application. You can access their system here. 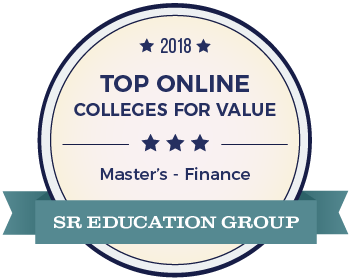 You will self-report your GRE/GMAT score(s), upload unofficial transcripts, and provide contact information for your three recommendation sources through this system. You will also have the opportunity to upload your current resume and biographical sketch.